I always thought Charli XCX reminded me of Marina & the Diamonds and now it seems they are gonna be touring together this summer. 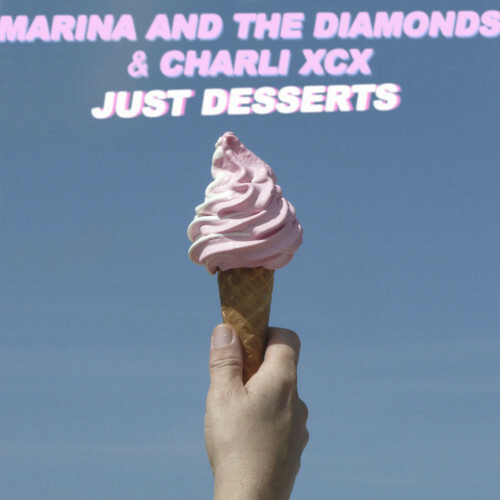 In addition to the tour they collaborated on a new track called "Just Desserts" which is delicious and the best part is they are offering the track as a free download. Check out the tour dates starting May 6th here and the track below. P.S. If you live in South Florida Charli XCX will be performing Live at The Garret at Grand Central on Sat, June 8th for our weekly His & Hers party along with Little Daylight & Kitty Pryde. You can buy advance tix's for that here and check out the Facebook invite here. Can't wait!